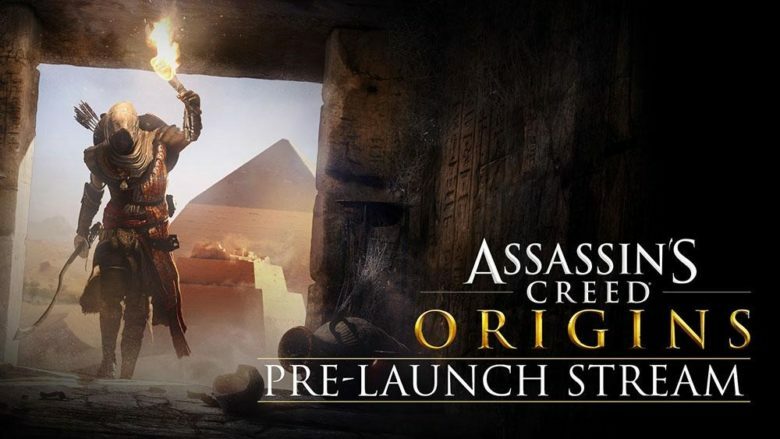 With Assassin’s Creed Origins set to release on October 27th Ubisoft held a pre-launch stream Tuesday, October 17th and wow it was info and giveaway loaded! 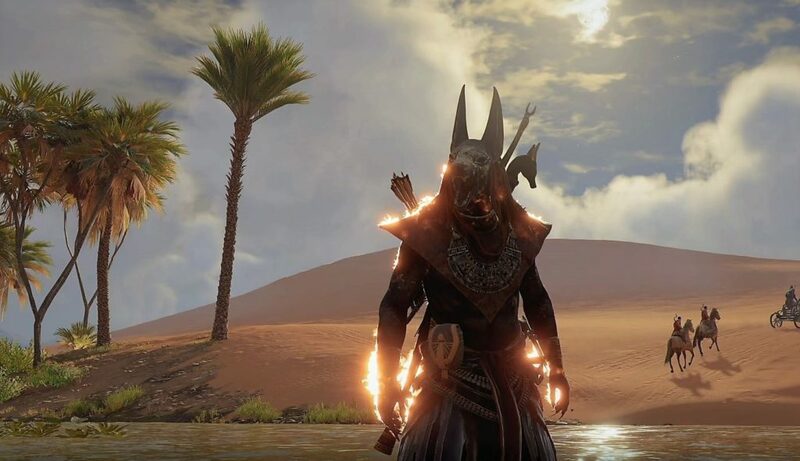 Since I saw this game shown at E3 in June my heart has been in a tug of war between anxiously wondering if Ubisoft can live up to my high expectations and being so overwhelmingly excited at the thought of an Ancient Egypt game because I love for this era, this civilization! Below I have recapped yesterday’s live stream. I started watching without any plans to do so but this game is so promising I just had to! Bluntly speaking. 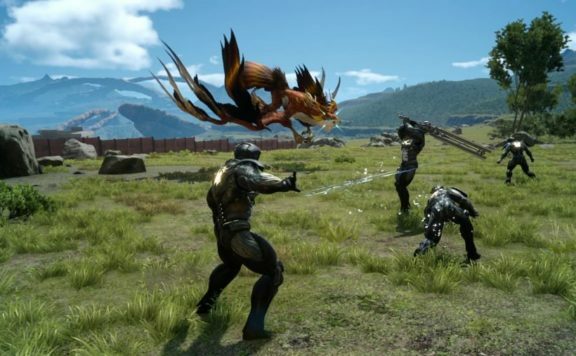 Everything I saw today is what I have been waiting for in an MMO without the MMO part and because there are so many well-done features, for the first time ever I am ok a game is not an MMO! That’s how good this game is. The level of enthusiasm and knowledge divulged during the stream also answered every question I had so I AM all in! There are three sections to this pre-launch live stream that is being played on Xbox One X. I have split each section up to give an overview then also added a Q&A section – not all Q&A is included purely based on the amount of editing required. Please refer to the Ubisoft Twitch Video for further info or to watch the live stream. Crafting – There are six crafts on the bottom (smaller boxes) 3 weapons to the left, 3 armor pieces to the right. On this window there are also outfits and mounts- customization. More outfits coming in the future. 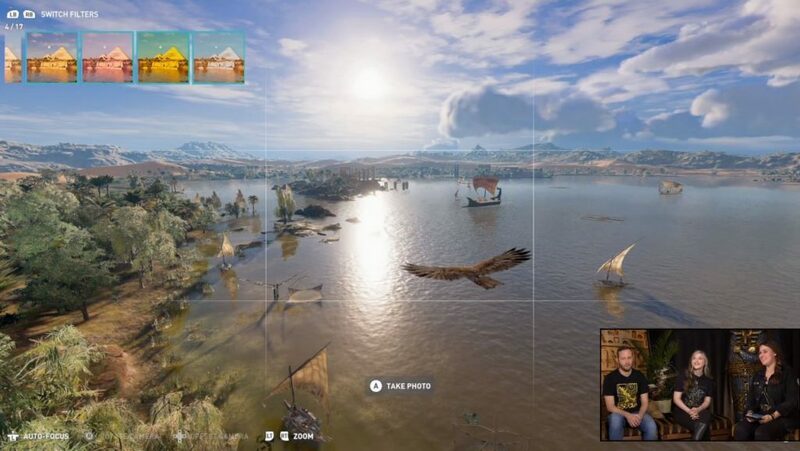 Myriam takes us on a stealth combat adventure as Bayek the last Magi and his Hawk, Senu who scouts for us showcasing camera distance (shown below) while highlighting a world that is living – providing opportunity. There is an ongoing discussion of how players can call for reinforcements, loot bounty hunters and the fort we are exploring. Scouting is highlighted as well as the creatures of this land as they would be naturally. Quests – are impacted by events you incur going on in the world and choices you make. The hope is that players create their own stories and antidotes. Parkour – has been thought out from a stealth and navigation perspective including classic aspects of parkour previous Assassin Creeds players are use to so players can take advantage of every possibility or maybe not even touch the ground. Bows – There are four types of bow, with many types of variations ie Predator bow like a sniper. 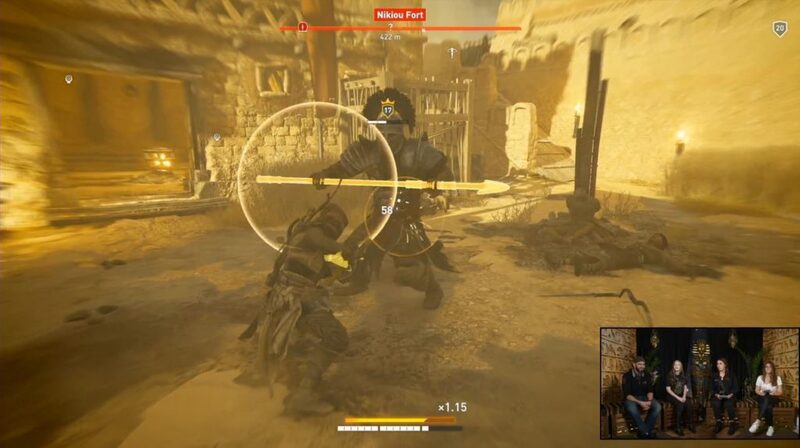 An ability you can purchase allows Bayek to “mind bend” type of ability where he is able to give a bows arrow an arc. There is one you can light on fire and a warrior bow that’s like a shotgun. Real world references and archers were used to help determine the animations of archers. World – Where you are in the world is going to offer opportunities relating to what is there like gear being possible to find where warriors live. Gear – Blue is common, purple is rare, gold is legendary. Legendary attributes differ so much crafting comes into play to produce the perfect weapon for your style of play. Fury Mode – (screen turns yellow)The value of having two melee weapons is you can use one weapon to build up your energy bar, switch to two weapons to unleash fury mode. Combat Challenge – Assassins Creed Origins has been developed as a more challenging game, not necessarily harder it just requires focus however don’t forget there are settings to make it easy. Dynamic Environment – Players carry torches that can be used to distract guards, light arrows etc Looking for nearby jars to throw at fire causing larger flames etc are the type of encounters encouraged. Adventuring – You may climb every surface and yes there are surprises in the world. – Can you tame a hippo? Absolutely. – Are outfits only cosmetic? Yes. – Are there going to be ship battles similar to AC (Assassins Creed) 3 and 4? Yes there will be. – Will there be sea shanties? Not sea shanties but a similar surprise. – Can we kill Guards while they sleep? As a player we can make time go forward and back. There is a guard switch you can utilize. Poison is another strategy. 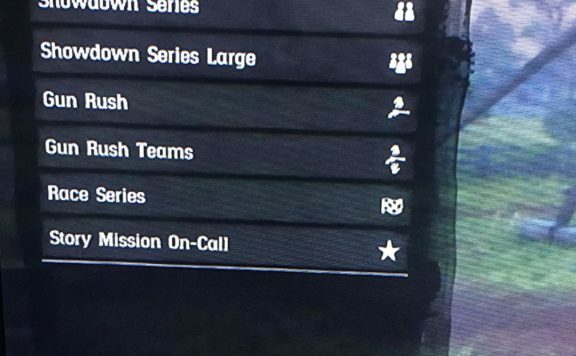 – Will there be side missions? 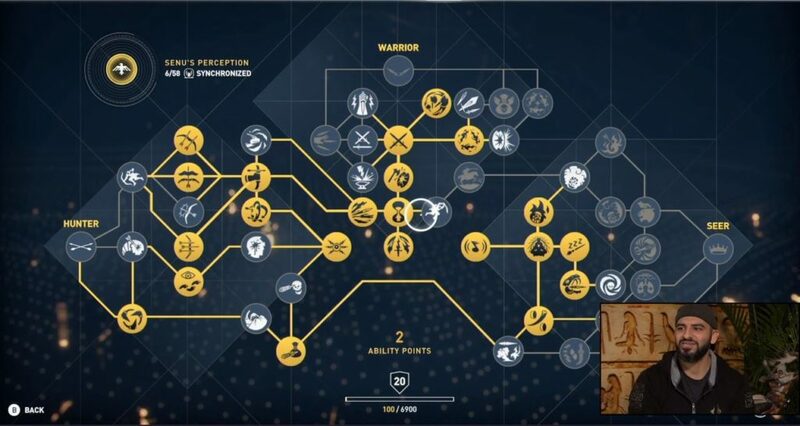 These are now called quests, you can have as many running at once as you like and are a great way to be exposed to the the history of the world and Bayek. 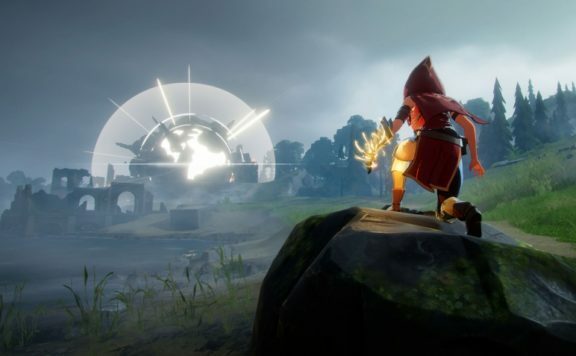 – Is the game too hard as an RPG setting? – This is the first Assassin’s Creed with difficulty settings so you may set it to easy or hard. Default is normal. There is a lot more depth especially with the combat system so the goal was to make sure as many people could play. – Is the alertness of guards correlated by the difficulty? – No, there is a cat and mouse element where Guards investigate threats that can also have its settings changed difficulty wise. – Will we learn the history behind the Magi? Yes, via narrative. Magi are based on a real world group – a proto police for the Pharaohs that were replaced over time when the Greek dynasty came in by Phalakes. Bayek is one of the last Magi and we get to explore his training, his journey. Phalakes are bounty hunters hunting for him. 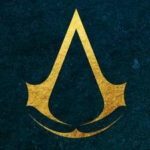 – Is this story connected to any other Assassin’s Creed game in any way? This is a thousand years before Assasins Creed One. There are acknowledgements to the other games as this game is telling the origins of a group. The gameplay and narrative experience structure is new but the lore is true to all other Assassin Creed games. – Can you destroy or dismantle items for materials for crafting or for other things in the world? There is a diverse system, yes you can do this. Economy is something that is relevant. There are animal skins, metals, rarer items in more difficult areas. – Can you turn off the yellow hit point feedback? Yes. – Can you run around in passed Assassin Creed game outfits? There are legacy outfits but keeping how to get them a surprise. – Can you fast travel? Yes you don’t have to but can via cities in the world or viewpoints. 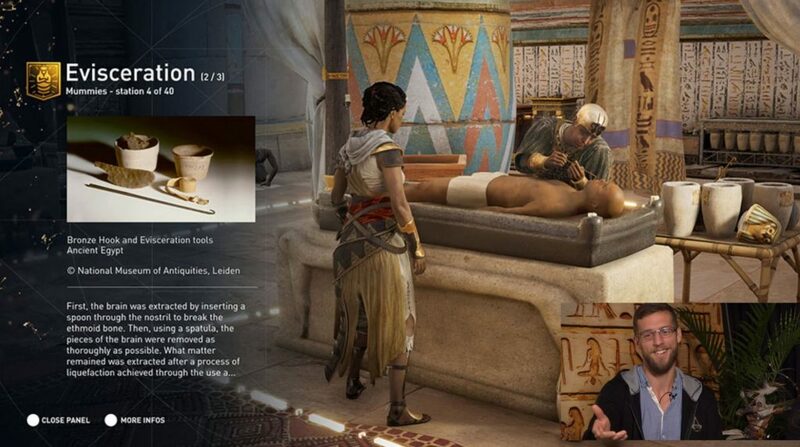 Senu has the ability to tag and attack as well as find viewpoints. – Can your cat/dog follow you around town? Yes but they will do what animals do, there are domesticated animals in the world. Animals galore. – Will the story take place over several years? The time period this game is in, is when Cleopatra ascends her throne so there’s a lot to unfold but no spoilers. – Is there a carrying capacity or can you hoard? You can hoard, there is no capacity for weapons shields gear. There is also ways to manage this though there is capacity for ammo. Able to freeze frames, use filters, add frames , zoom and when complete it automatically gets shared to a community album. You will have access to other pictures as well as those that other players take in the same place. The map also has an interesting feature showing art concept and picture of the day. 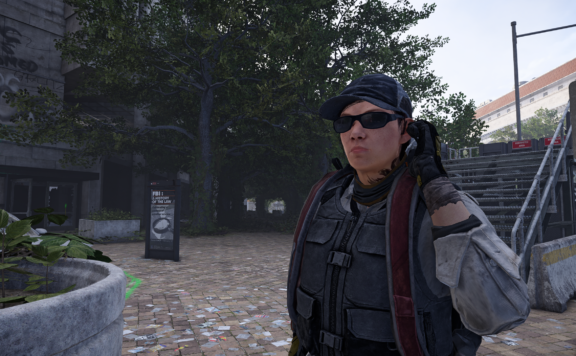 You can take photos while being in combat everything freezes.Filters for finding your friends photo’s are in place as well as those with the most likes. Senu can also take pictures. This is where you meet a world-traveling child named Reda whose story you will come to know the more you visit him. Reda travels selling unique items for purchase with in-game currency. Reda also gives you daily quests whose reward is a Heka Quest with a chance at only rare or legendary items. 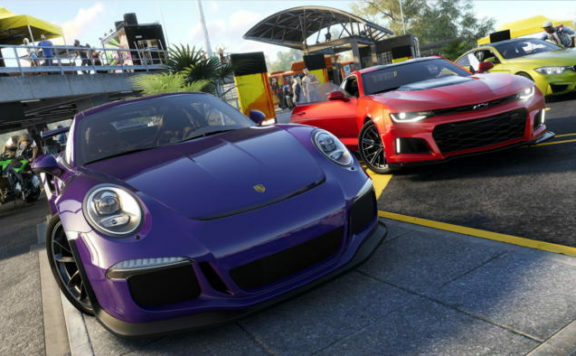 – Will Photo Mode be included in day one patch? Yes though more features will be added over time. – Can you take pictures without Bayek in them? Absolutely. 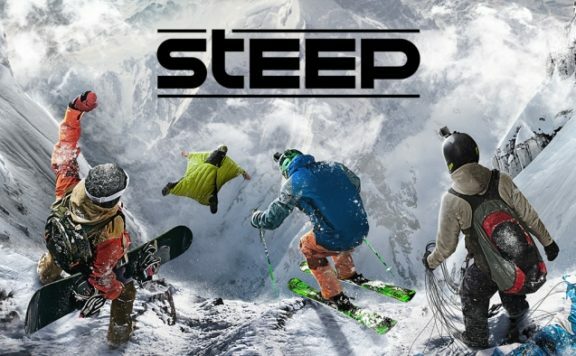 – Will there be an achievement program with photo mode (Question from yours truly.) Yes. – What happens if you get an item from the Heka chest and you already have it? You are able to dismantle it. Chances to get something you need increase as you go. – If you dismantle a weapon, can you get it back? No. Discovery Tour has been four years in the making when teachers asked if Ubisoft could make a game/mode for education where no mobs etc could attack you but you could learn with guided tours like a real live museum. The way it works is you find a mission start. You will follow a path on the ground finding yourself somewhere of significance and a voice (audio) will tell you where you are who has lived there or what life was like in live Ancient Egypt. You are able to become a different nNPCin Discovery Tour mode including Cleopatra and Julius Caesar. You will find concentrated mission starts in the city but they are everywhere in the game with cards like the one pictured above that includes how Ubisoft interpreted this content for their game. You can use the map or menu to find tours. Discovery Tours were made to learn about the life of Ancient Egypt as well as the people who were important to this time. – Is the Discovery Tour covering the rise of Cleopatra or the entire Ancient Egypt History? All of it. – Will we be able to go inside the Great Library? Yes, you can go inside where you will see the scribes copying books. You will also learn about scientists, mathematicians and lots more! 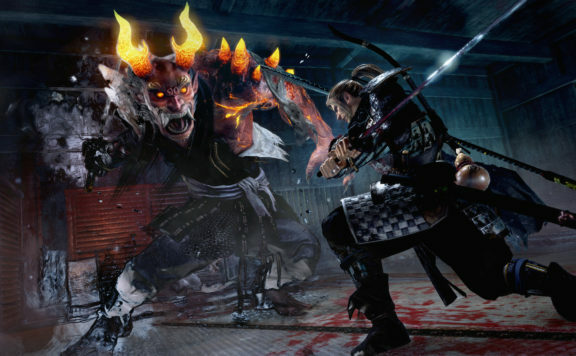 Nioh Surpassed 2 Million Units Sold!